The UN staff, based in Burundi, are accused of ‘being the source of all the problems’ the country is facing. 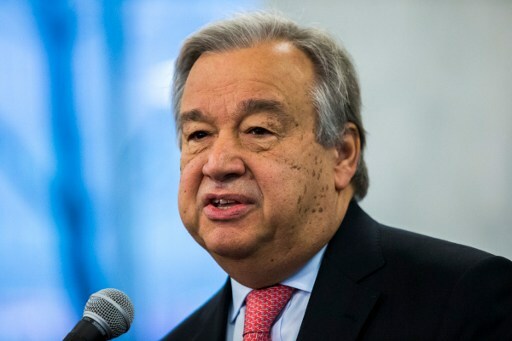 The Burundi Government intends to write to the Secretary General of the United Nations requesting him to replace all the UN staff based in Burundi. Talking to the Tutsis internally displaced people of the Bugendana site in Gitega, centre of Burundi, on Thursday, the first Vice President Gaston Sindimwo charged the UN and the outsiders with “being the source of all the problems Burundi is going through”. The 52-year-old man from the UPRONA, Union for the National Progress, the main Tutsis party, indicated that all the UN staff members “were corrupt and had been mislead by the opposition politicians who only want to harvest what they didn’t sweat for”. Since 2015, UN experts have produced many reports on the human rights situation in Burundi. According to the reports, some officials, the Burundian army, police and intelligence agents including the Imbonerakure, the youth affiliated to the ruling party, were held responsible for the “ killings, torture acts and gross human rights violations committed in Burundi”. For many times, the Burundi government has been accusing the UN of producing “false reports” on Burundi in order “to run over the CNDD-FDD regime”. “The problem is that when the UN Secretary says anything about Burundi, you people, you innocently tend to agree to it”, said Gaston Sindimwo. Nearly five months ago, the Burundi Government had suspended collaboration with the Office of the UN High Commissioner of Human Rights in Burundi, accusing it of having been involved in the elaboration of a report which accused Burundian officials of having “committed gross human rights violations in the country”.